Kevin Nelson highlights strong objections to the Banning Ranch development. He calls for the shortsighted proposal to be denied. Activists are encouraging the public to attend the final Coastal Commission hearing for Banning Ranch on September 7th. The California Coastal Commission staff has recommended a significant reduction to the project. 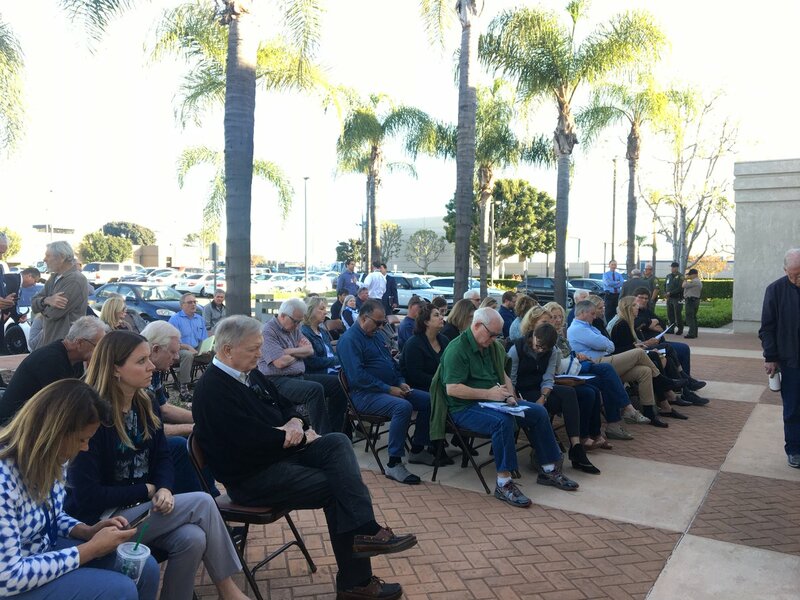 NEWPORT BEACH, Calif., Aug. 29, 2016 /PRNewswire/ — Saying the most recent California Coastal Commission staff report is a “de-facto denial of the project,” Newport Banning Ranch property owners say they will challenge the report’s conclusions which are mostly based on false assumptions provided by experts representing project opponents. The 172 page staff recommendation released late Friday would allow development on less than 10 acres of the 401 acre property, essentially killing the project which proposed using approximately 70 acres for homes and commercial uses and permanently preserving about 300 acres for natural open space, hiking and biking trials, and nature and Native American educational programming. “In lock-step with Donald Trump, Young Kim continues to hide her tax returns from public scrutiny. And now, a statement from the Kim campaign contradicts legally required disclosure statements she and her husband filed with government agencies and signed under penalty of perjury. “In an interview with a conservative online blog on August 5th (link here), Asm. Young Kim’s campaign tried pouring cold water on her tax issues, emphatically stating that her returns were complete, including a claim that Kim’s husband, Charles, spent 2015 as a volunteer and had no income. Trustee Teri Rocco was appointed to the Garden Grove Unified School District Board of Education in 2015 and has been a longtime Garden Grove resident. Orange County Treasurer-Tax Collector Shari Freidenrich reminds those with unsecured property taxes due for Fiscal Year (FY) 2016-17 relating to business property, leased equipment, boats and aircraft to submit payment by Wednesday, Aug. 31, 2016, to avoid late charges. Any unsecured property tax payments received after Wednesday, Aug. 31, 2016, that do not show a US Postal Service date stamp for the 31st or earlier will be charged a 10% delinquent fee and a $75 late charge. Nearly 2,000 Garden Grove residents enjoyed a night of fun Friday at the Great Wolf Lodge hotel and waterpark thanks to what amounted to a massive contribution to Garden Grove Councilman Steve Jones’ mayoral campaign. Voting Wars: Has the Time Finally Come for the ‘Sleeping Giant’ to Awaken? After decades of low turnout, Latinos nationwide may be poised — thanks in large part to Republican presidential nominee Donald Trump’s anti-immigration stance — to at last have an impact on Election Day that matches their population gains.